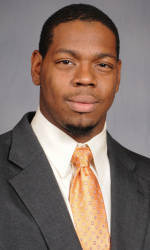 CLEMSON, SC – Clemson unanimous All-America defensive end Da’Quan Bowers will enter the 2011 NFL draft. Bowers announced the decision on Wednesday. A freshman in 2008, the native of Bamberg, SC had one year of eligibility remaining with the Tigers in 2011.